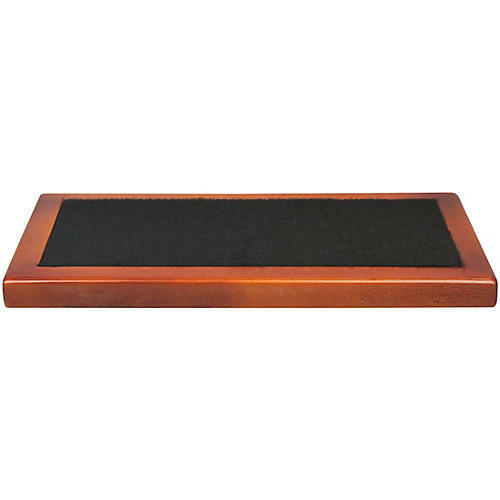 Ruach Hardwood Pedalboards - What makes these the best! London, mid-1960s: music and fashion come together to help shape one of the most culturally defining decades of the 20th century. Ruach used this period as its inspiration for the Carnaby Street board, which is reflected in its stunning design. The Carnaby Street pedalboard is handcrafted in the company's workshop in Northern Ireland using top-quality maple hardwood. Each beautiful sunburst finish is applied by hand, so no two boards are identical – a nod to the individuality of the '60s. Measuring 13.5 x 6.1 x 0.8 in. (34 x 15.5 x 2cm), the size 1 pedalboard is Ruach's smallest and lowest profile, yet has the capacity to hold three standard-sized Boss effects pedals. The size 1 Carnaby Street is perfect for all players who want a compact set-up for light travel, and a sweet looking board to park your pedals. Dimensions: 13.5 x 6.1 x 0.8 in.